Here or there, you might have been stumbling upon the strange term „Xposed“ and wondered what it is about. Or you´ve seen what you can do with it, and asked yourself how to achieve this and what else might be possible with it. This article should answer some of those questions. 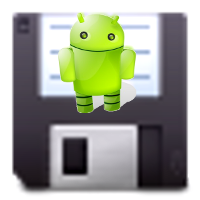 Adebar stands for „Android DEvice Backup And Restore“. It creates scripts you can use to backup/restore your device via ADB (including freezing apps), and partly „documents“ your device. What’s more? Read on! Some apps simply request too much permissions we either do not understand – or understand them pretty well and do not want them. Be it for privacy reasons, or out of anxiety the apps themselves might abuse our trust. Unfortunately, app stores don’t provide a filter for that. Do not fear: StripSearch comes to your rescue! Names of his apps usually start with a “C”, which shall stand for “Convenience” and “Customization”. They are as well (c)lever, (c)omfortable, and more. Let’s take a look at some of them: “C Locker” and “C Widget” for example.